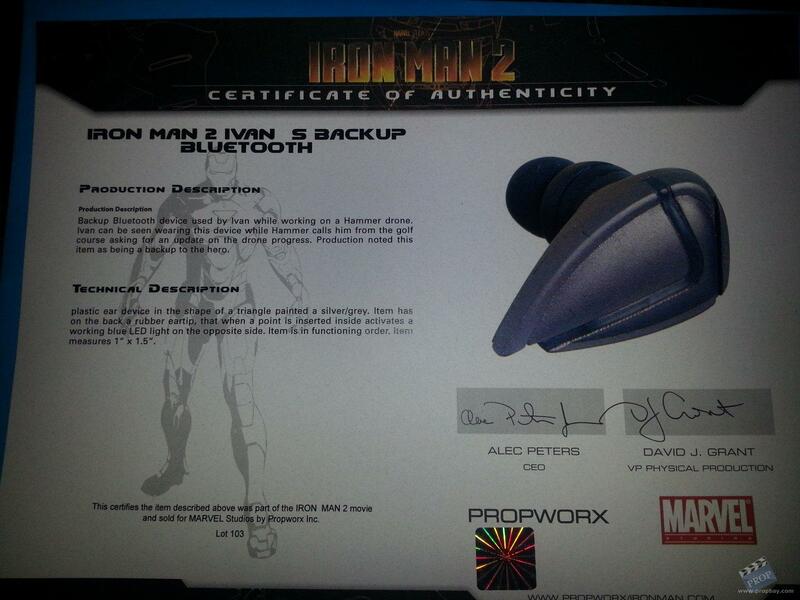 production description: Backup Bluetooth device used by Ivan Vanko (Mickey Rourke) while working on a hammer drone. Ivan can be seen wearing this device while hammer calls him from the golf course asking for an update on the drove progress. 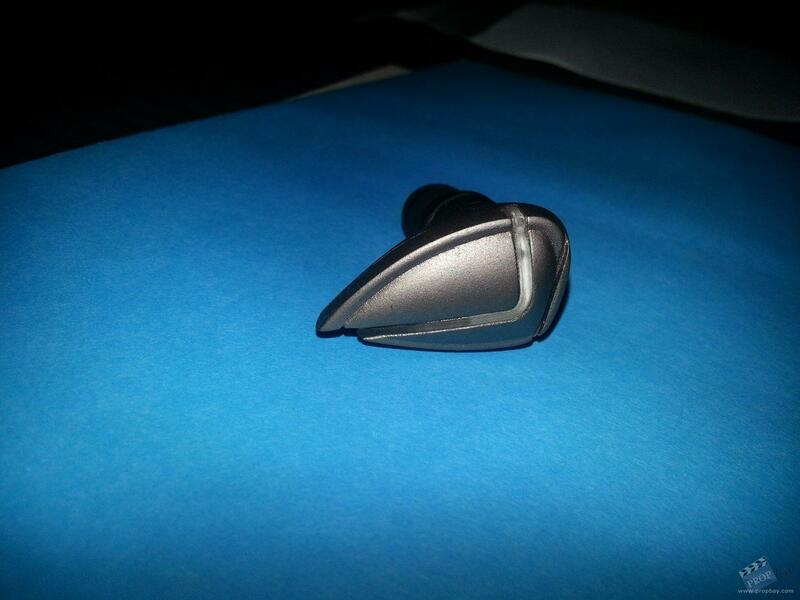 Production nnoted this item being a backup to the hero bluetooth. 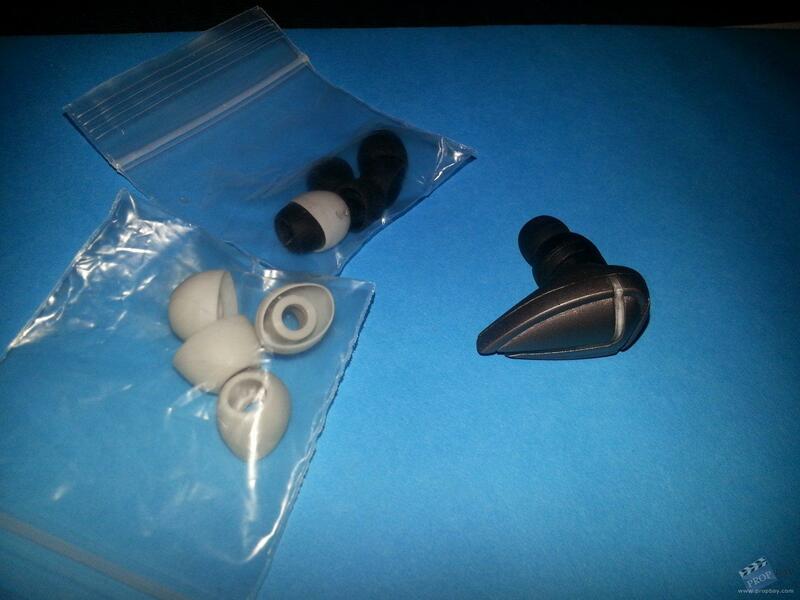 Plastic ear device in the shape of a triangle paited a silver/grey. Item has on the back a rubber eartip, that when a point is inserted inside activates a working blue LED light on the opposite side. Item is in functioning order. Item measures 1" x 1.5"
Added: 02-19-2013 - Viewed: 1686 times.